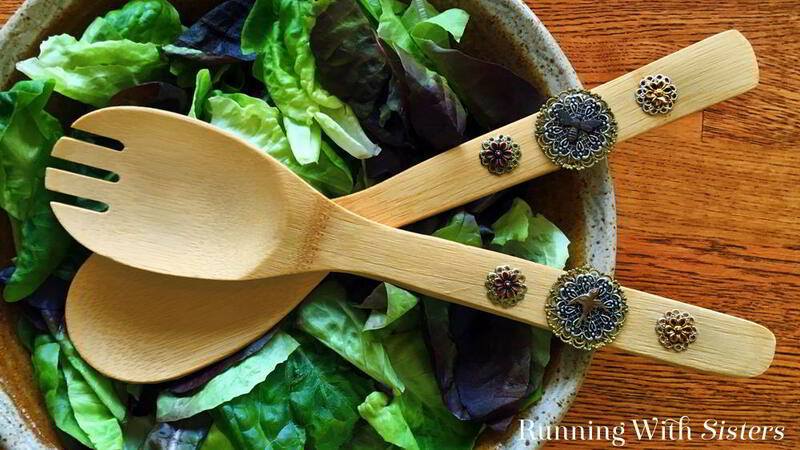 Here’s a stylish gift craft: Charmed Salad Tongs. We got the bamboo salad tongs at a department store, then we decorated the handles with lacy metal filigrees and charms. These pretty filigrees came from the jewelry section at the craft store, but you might also find them in the scrapbooking section. Here’s a video we made showing how we layered the filigrees and glued them to the bamboo salad tongs. 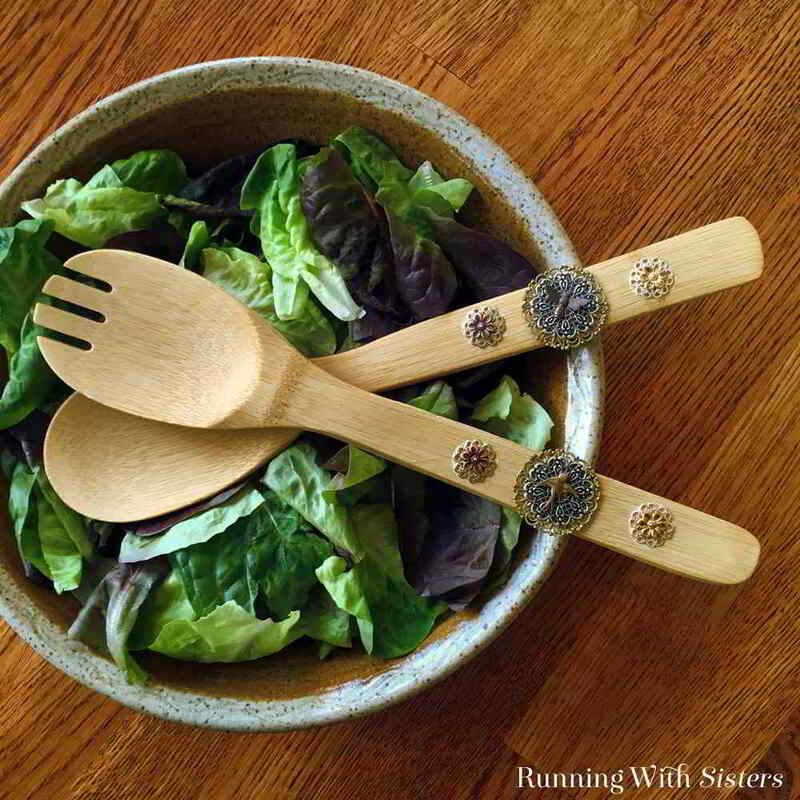 Watch the video to see just how easy this project is, then make your own Charmed Salad Tongs. Step by step instructions are below. 1. Start by snipping any rings off the charms using the wire cutters. We chose flat charms so they would lay flat on the handles. 2. Next, hammer the filigrees flat using the hammer and anvil. It works best to place the filigrees curved side down to flatten them. 3. 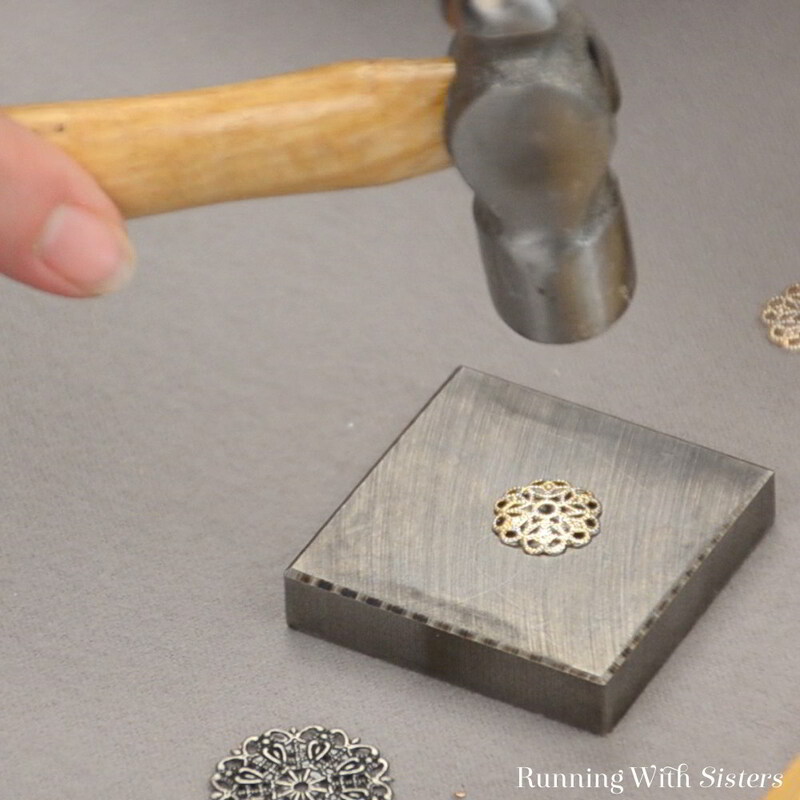 Glue a large filigree to one of the tong handles by adding a little glue to the back of the filigree. Press the filigree onto the handle. Some glue will come through the holes in the filigree, but that’s okay! 4. Add a dab of glue to the back of a medium filigree and layer onto the large filigree. Add a little glue to the back of the bird charm and center it over the filigrees on the handle. 5. Glue a small filigree above and below the large one. Add a little glue to the backs of the flower charms and center on the small filigrees. 6. Repeat to add the filigrees and bee charm to the second bamboo tong. Let the glue dry. We think this is such a fun and unique way to personalize a gift like bamboo salad tongs. Leave us a comment and let us know what you think!